The terms of services from AS Designs & Services LLC, ASDesignsAndServices.com & HiloWebDesign.com, ASDS llc, ASDSllc.com, [hereafter referred to as “A.S. Designs & Services”] constitutes agreement to these terms. All Graphic Design, Web Design & Development and Ongoing services provided by A.S. Designs & Services are subject to the following terms and conditions. All new web design projects require an initial 50% deposit that will be due at contract signing. The remaining 50% balance will be due upon acceptance of the completed web development project before it is released to the client or published to the internet. All new web design projects that exceed $600 US can be split into three payments. An initial deposit of 1/3 of the total project cost will be due at contract signing. A second payment of 1/3 the total project cost will be due upon acceptance of the design. The final balance will be due upon acceptance of the completed web development project before it is released to the client or published to the internet. A.S. Designs & Services accepts payments via Cash, Check, PayPal and all major Credit Cards. Your payment should come from PayPal available funds or credit card. Your project will not be released to you or uploaded until full payment is received. Our business hours are Monday-Friday from 9am-5pm HST. If you require maintenance after the posted hours, such as on weekends or holidays, you will be charged our base rate of $95 per hour with an additional charge of $45 per hour for after hours assistance. All A.S. DESIGNS & SERVICES custom web design clients will have a Design by: A.S. 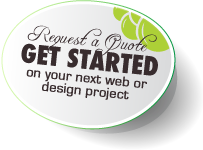 DESIGNS & SERVICES link on their website in the footer of every page. This is non-negotiable. By hiring us to work on your website you are agreeing to this, and that you understand that this link may NOT be removed without our consent. You may pay A.S. DESIGNS & SERVICES a fee of $250 to have this link permanently removed. Should you have a new layout designed for your site by a company other than A.S. DESIGNS & SERVICES, you may remove the credit from your website. Thank you. Upon completion of the project, A.S. DESIGNS & SERVICES transfers all rights and ownership of CUSTOM designs and programming written by A.S. Designs & Services to the client. Software and third party graphics or programs are not transferred to the client and remain under copyright of their respective owners. Ownership and copyright of all Template Monster, HostGator and Limited Edition Templates available in our stores remain with A.S. Designs & Services and are not transferred to the client. A.S. DESIGNS & SERVICES reserves the right to resell custom designed web sites that remain unpaid by the original client, unaccepted mockups or other graphics created by A.S. DESIGNS & SERVICES but not in legal use by the client. A.S. DESIGNS & SERVICES reserves the right to display websites and graphics that have been designed by A.S. DESIGNS & SERVICES on their website, and in any marketing material to aid as examples of our work. A.S. DESIGNS & SERVICES requires a deposit before we begin work on any project. A request to terminate services must be presented to A.S. DESIGNS & SERVICES in writing. A.S. DESIGNS & SERVICES has a Guaranteed 90 Day Turnaround for your project. If we fail to complete your project within 90 days of the start date AND you have turned in all content, images and information requested by us, you will recieve a 50% refund within 30 days of your written request. Otherwise, please follow the refund terms below. Refunds will be processed within 30 business days of request by the client, if there is a refund amount due based on the terms above. Because we resell hosting for a larger company, we are unable to offer refunds on hosting, SSL and domain services. If you are dissatisfied with the hosting services provided, we will be happy to work out a solution with you that will meet your company needs. A.S. DESIGNS & SERVICES will not negotiate chargebacks with any person or company. Our Refund policies are clearly stated above, and all clients are asked to read and agree to our terms of service prior to the start of any project. A.S. Designs & Services understands the importance of completing projects in a timely manner. We agree to complete the web design project within 90 days from the date of contract signing. If the client does not supply A.S. Designs & Services with complete text, graphic content and other requested materials for the contracted client within 90 days of contract signing, the contract becomes void and all deposits paid by the client are forfeited. The client may request a Project Extension in writing to A.S. Designs & Services for an additional fee of 20% of the project total cost for every 30 days of extension. All extension fees are due upon agreement of the extension between A.S. Designs & Services and the client. Services purchased from A.S. Designs & Services are provided “as is” without warranty of any kind that the web design project will be uninterrupted or error free. In no event shall A.S. Designs & Services be liable to the client for any direct, indirect, special, punitive, incidental, or consequential damages arising out of the use of the website, services, and/ore goods provided to the client. This includes, without limitation, lost profits, business interruption, loss of data or other losses directly resulting from the use of the website, services, and/or goods provided to the client. The entire risk as to the quality and performance of the web design is with the client. We are happy to accept projects from customers outside of the United States. However, we do require full payment of all projects prior to beginning your project via Credit Card. This is non-negotiable. Notice: This Agreement shall be governed by and construed in accordance with the laws of the State of Hawaii. Exclusive jurisdiction and venue is as governed in the district court of Hilo County, Hilo Hawaii. Please note that by submitting your Deposit or downpayment for our services you are agreeing to all of our terms of service as written here. A.S. Designs & Services reserves the right to change or update these terms at any time without prior notice. Being an all-digital design shop means that you are responsible for providing us with all artwork corrections for your pre-published or pre-print Ads and Labels. Please note that it makes good sense to check your designs (and spelling) before print approval – corrections or modifications made after the approval/proofing stage will incur extra charges, as we need to make design changes and repeat the entire pre-press process to incorporate the new files. In summary, A.S. Designs & Services and our artists have done everything possible to make the artwork and files perfect. However, A.S. Designs & Services and it’s designers/affiliates are not responsible for it’s final approval, so please be sure to check all copy, dimensions and color seperations. The use of services from A.S. Designs & Services.com, [hereafter referred to as “A.S. Designs & Services”] constitutes agreement to these terms. We no longer offer a FREE Transfer service with Sign-up. Please contact us with specific details to receive a price quote for website transfers. All services provided by A.S. Designs & Services may only be used for lawful purposes. The laws of the State of Hawaii, State of California, State of Florida, the State of Texas, and the United States of America apply. The customer agrees to indemnify and hold harmless A.S. Designs & Services from any claims resulting from the use of our services. Use of our services to infringe upon any copyright or trademark is prohibited. This includes but is not limited to unauthorized copying of music, books, photographs, or any other copyrighted work. The offer of sale of any counterfeit merchandise of a trademark holder will result in the immediate termination of your account. If you believe that your copyright or trademark is being infringed upon, please email abuse@A.S. Designs & Services.com with the information required. A list of required information may be found here. If the request is of a licensing issue, we may require further documentation. A.S. Designs & Services services, including all related equipment, networks and network devices are provided only for authorized customer use. A.S. Designs & Services systems may be monitored for all lawful purposes, including to ensure that use is authorized, for management of the system, to facilitate protection against unauthorized access, and to verify security procedures, survivability and operational security. During monitoring, information may be examined, recorded, copied and used for authorized purposes. Use of A.S. Designs & Services system(s) constitutes consent to monitoring for these purposes. If in doubt regarding the acceptability of your site or service, please contact us via our contact form or email and we will be happy to assist you. A.S. Designs & Services reserves the right to require changes or disable as necessary any web site, account, database, or other component that does not comply with its established policies, or to make any such modifications in an emergency at its sole discretion. A.S. Designs & Services reserves the right to charge the holder of the account used to send any unsolicited e-mail a clean up fee. This cost of the clean up fee is entirely at the discretion of A.S. Designs & Services. You agree to supply appropriate payment for the services received from A.S. Designs & Services, in advance of the time period during which such services are provided. You agree that until and unless you notify A.S. Designs & Services of your desire to cancel any or all services received, those services will be billed on a recurring basis. Cancellations must be done in writing via the cancellation form provided or via email. Once we receive your cancellation and have confirmed all necessary information with you via e-mail, we will inform you in writing (typically email) that your account has been canceled. Your cancellation confirmation will contain a ticket/tracking number in the subject for your reference, and for verification purposes. You should immediately receive an automatic “Your request has been received…” email with a tracking number. An employee will confirm your request (and process your cancellation) shortly thereafter. If you do not hear back from us, or do not receive the automatic confirmation email within a few minutes after submitting your cancellation, please contact us immediately via phone. We require that cancellations of service are done through the online form to (a) confirm your identity, (b) confirm in writing you are prepared for all files/emails to be removed, and (c) document the request. 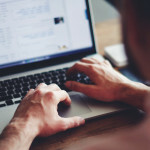 This process reduces the likelihood of mistakes, fraudulent/malicious requests, and ensures you are aware that the files, emails, and account may be removed immediately after a cancellation request is processed. As a client of A.S. Designs & Services, it is your responsibility to ensure that your payment information is up to date, and that all invoices are paid on time. A.S. Designs & Services provides a 30 day grace period from the time the invoice is due and when it must be paid. Any invoice that is overdue for 30 days and not paid will result in a $35 late fee and/or an account suspension until account balance has been paid in full. A.S. Designs & Services reserves the right to change the monthly payment amount and any other charges at anytime. Your use of the service is at your sole risk. A.S. Designs & Services is not responsible for files and/or data residing on your account. You agree to take full responsibility for files and data transferred and to maintain all appropriate backup of files and data stored on A.S. Designs & Services servers. A.S. Designs & Services reserves the right to cancel the account at any time with or without notice. Customers may cancel at any time via a cancellation form or via email. A.S. Designs & Services gives you an unconditional 30 day money back guarantee on managed shared hosting, dedicated server, and reseller solutions for any customer who paid the first invoice with a credit card or with Paypal. There are no refunds on dedicated servers, administrative fees, install fees for custom software, or domain name purchases. Refund requests for shared and reseller accounts after the initial 30 days will be refunded on a prorated basis of any unused time. Violations of the Terms of Service or User Agreement will waive the refund policy. On dedicated servers and colocation no full refund will be honored — the 30 day money back guarantee does not apply. We reserve the right to refund a prorated amount or no refund at all. Each of A.S. Designs & Services’s managed shared and reseller servers carry a 30 day unconditional money back guarantee on them. If you are not completely satisfied with our services within the first 30 days of your service, you will be given a full refund of the contract amount. Remember, this is only for monthly shared or reseller packages and does not apply to dedicated servers, administrative fees, install fees for custom software, or domain name purchases. If your shared / reseller server has a physical downtime that is not within the 99.9% uptime you may receive one month of credit on your account. Approval of the credit is at the discretion of A.S. Designs & Services dependant upon justification provided. Third party monitoring service reports may not be used for justification due to a variety of factors including the monitor’s network capacity/transit availability. The uptime of the server is defined as the reported uptime from the operating system and the Apache Web Server which may differ from the uptime reported by other individual services. To request a credit, please contact sales@asdesignsandservices.com with justification. All requests must be made in writing via email. Uptime guarantees only apply to shared / reseller solutions. Dedicated servers are covered by a network guarantee in which the credit is prorated for the amount of time the server is down which is not related to our uptime guarantee. Resellers are responsible for supporting their clients. A.S. Designs & Services does not provide support to our Reseller’s Clients. If a reseller’s client contacts us, we reserve the right to place the client account on hold until the reseller can assume their responsibility for their client. All support requests must be made by the reseller on their clients’ behalf for security purposes. Resellers are also responsible for all content stored or transmitted under their reseller account and the actions of their clients’. A.S. Designs & Services will hold any reseller responsible for any of their clients actions that violate the law or the terms of service. A.S. Designs & Services reserves the right to reset the password on a dedicated server if the password on file is not current so that we may do security audits as required by our datacenter. It is the responsibility of the client to ensure that there is a valid email address and current root password on file for their dedicated server on file to prevent downtime from forced password resets. A.S. Designs & Services reserves the right to audit servers as needed and to perform administrative actions at the request of our datacenter. Dedicated servers are NOT backed up by us and it is the responsibility of the client to maintain backups or have a solution for this. You may purchase an additional hard drive and maintain backups to it as the most simple solution. Please contact sales@asdesignsandservices.com if you wish to obtain a secondary hard drive. It is your responsibility to maintain backups. The amount you pay for hosting will never increase from the date of purchase. We reserve the right to change prices listed on our company websites, and the right to increase the amount of resources given to plans at any time. Customer agrees that it shall defend, indemnify, save and hold A.S. Designs & Services harmless from any and all demands, liabilities, losses, costs and claims, including reasonable attorney’s fees asserted against A.S. Designs & Services, its agents, its customers, officers and employees, that may arise or result from any service provided or performed or agreed to be performed or any product sold by customer, its agents, employees or assigns. Customer agrees to defend, indemnify and hold harmless A.S. Designs & Services against liabilities arising out of; (1) any injury to person or property caused by any products sold or otherwise distributed in connection with A.S. Designs & Services; (2) any material supplied by customer infringing or allegedly infringing on the proprietary rights of a third party; (3) copyright infringement and (4) any defective products sold to customers from A.S. Designs & Services’s server. By using any A.S. Designs & Services services, you agree to submit to binding arbitration. If any disputes or claims arise against A.S. Designs & Services or its subsidiaries, such disputes will be handled by an arbitrator of A.S. Designs & Services’s choice. An arbitrator from the American Arbitration Association or the National Arbitration Forum will be selected in the state of Texas. Arbitrators shall be attorneys or retired judges and shall be selected pursuant to the applicable rules. All decisions rendered by the arbitrator will be binding and final. The arbitrator’s award is final and binding on all parties. The Federal Arbitration Act, and not any state arbitration law, governs all arbitration under this Arbitration Clause. You are also responsible for any and all costs related to such arbitration. A.S. Designs & Services shall not be responsible for any damages your business may suffer. A.S. Designs & Services makes no warranties of any kind, expressed or implied for services we provide. A.S. Designs & Services disclaims any warranty or merchantability or fitness for a particular purpose. This includes loss of data resulting from delays, no deliveries, wrong delivery, and any and all service interruptions caused by A.S. Designs & Services and its employees. A.S. Designs & Services may disclose any subscriber information to law enforcement agencies without further consent or notification to the subscriber upon lawful request from such agencies. A.S. Designs & Services reserves the right to revise its policies at any time without notice. Maintenance (changes or updates) on your new web site is included for the first 30 days after launch date. It is that time that we can still address any minor changes/updates to the site as well as website related questions & tutorials. We DO NOT provide ANY support after this initial 30 days post site launch. It is up to the client to do their due-diliginence to check and test the site prior to the approval and launch of the new website. Any and all website related changes, questions, updates and support issues outside this 30 day post launch window will be billed at our normal hourly rate of $95/hour (Our hourly rate is subject to change without written notice). If you require any additional website support it is highly recommended that you sign-up online or thru one of our staff members with one of our ongoing website support plans. If you would like more info about our ongoing support plans then please send us email request. Q: When Can I Expect to See Improved Results in the Search Engines? A: You will most likely see your website appear in searches within 2-4 weeks. However every search engine is different and none of them provide any guarantees that they will search your site and index it by a cer- tain date. In most cases we see the search engines adding new websites to their results within two weeks, and noticing changes to existing websites in 2-3 weeks. However, it can take 3-4 months to really start mov- ing up the ranks on google’s index as well as bing, yahoo and others. Q: What Can I Do Next? A: Keeping your website at the top of the search engine charts. There is always new competition and after time, if you’re not careful your website can be pushed down in the ranks of the search engines. To avoid this, you can contact us to assist you in keeping your website continually up-to-date with the current SEO techniques and other internet marketing strategies. 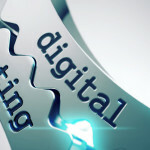 Q: What can I do to Help my Website’s Search Engine Rank on my Own?